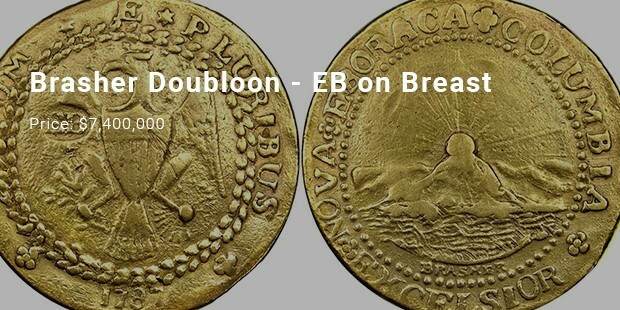 The most expensive coins in the world; for numismatists, whether students or collectors of these tiny little undulating priceless pieces of nickel or copper, this information would be a treat. 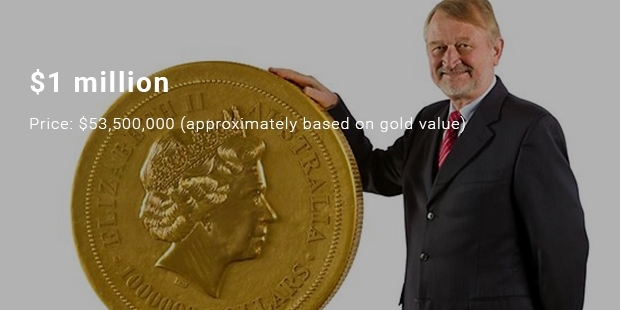 The Perth Mint unveiled the biggest and the most valuable gold coin in the world. It features a bounding red kangaroo on one side and the Queen's motif on the other. The coin weighs one tonne and is made from 99.99% pure gold. Believed to be the first silver dollar ever minted by the United States, this coin was sold by the auction firm Stack’s Browser in January 2013. 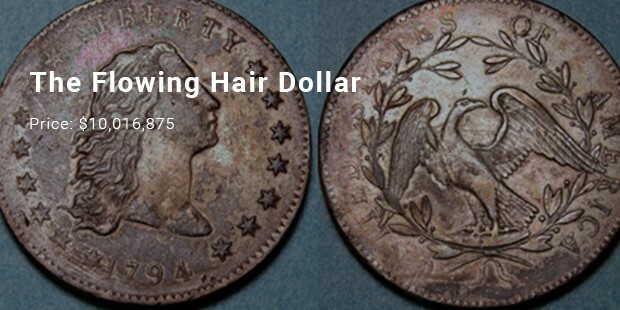 The Flowing Hair dollar, initially produced in 1794 and again in 1795 was designed by Robert Scot. 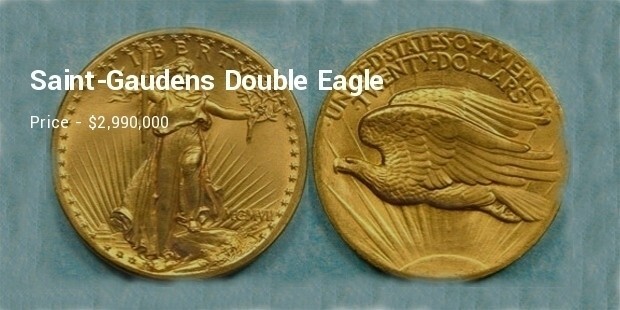 Minted in 1933 these $20 gold coins were never circulated and all barring two, were ordered to be melted down. One of the two was sold to a private owner for $7.59 million in 2002. The first gold coin made for the United States was sold by Steven L Contursi to Certified Acceptance Corporation of Far Hills. A private investment firm has purchased it from Blanchard and Company for over $7,000,000. This coin has its mark on the breast of the eagle. 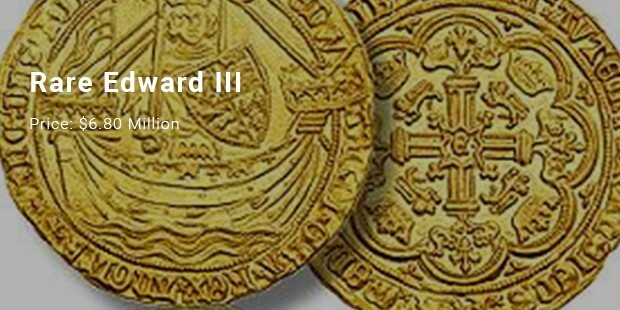 The Edward III double florin is claimed to be one of the most expensive coin in the world. Its inscription consisted of a king seated holding the globe and scepter, with two leopards beside him and a canopy overhead which clearly showed Edward III, the king of England. The coin was in circulation from 1343 to 1344. This is a rare American coin, privately minted in and after 1787. This is one of the surviving gold coins, weighing 26.6 grams and is composed of 22 carat gold, was sold at public auction in March 1981. 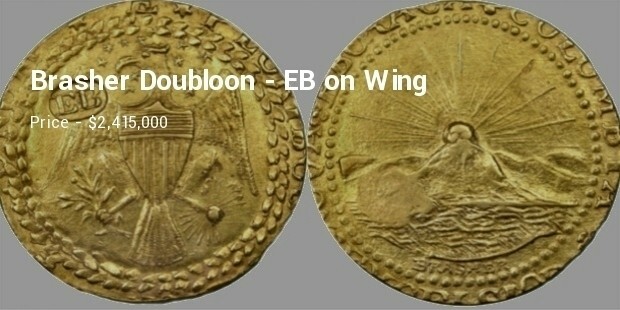 These coins were created as a symbol of diplomatic gifts to be exchanged by Edmund Robert, during his visits to Muscat & Siam. 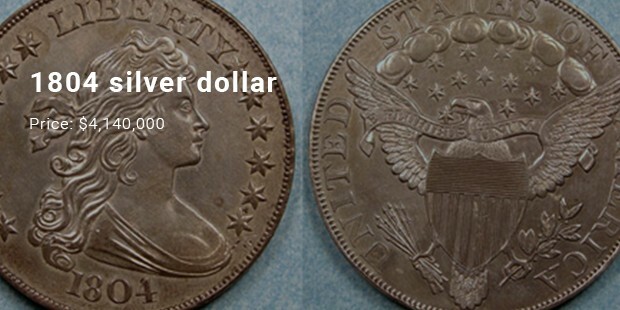 These dollar coins were created in 1804 & was discontinued by 1806. These limited five cent pieces were produced in limited numbers & is unauthorized by United States Mint. 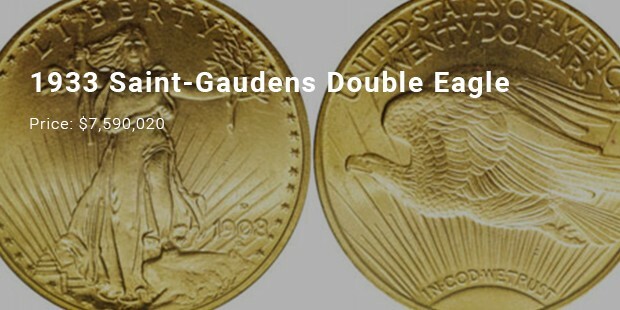 The specimen of these coins broke the million dollar barrier in various auctions. Currently only five examples are known to exist - two in museums and three in private collections. These coin’s obverse and reverse designs have a 3D physical depth and feel & was approved for circulation in 1907. As per available records, only two dozens were being produced out of which about 20 of them are currently scattered. Created by Ephraim Brasher, a goldsmith & silversmith, who in 1787 filed a petition to mint coins but was not granted permission. But still he went on to struck various gold & copper coins in next 5 years. 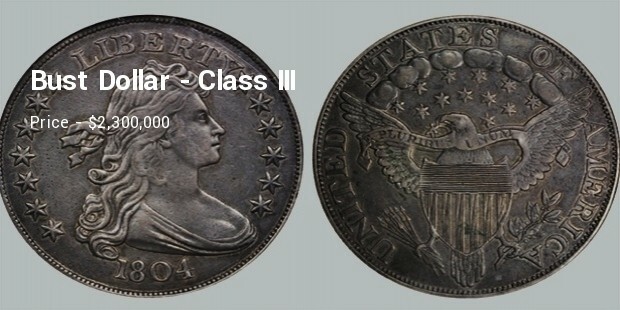 Same as 1804 silver dollar – it was created in three different classes. Class III is of 26.10 grams with a diameter of 39-40 mm. This variant has a slight concave appearance with respect to Class I &II variant. This is a dime produced in the United States Barber coinage. 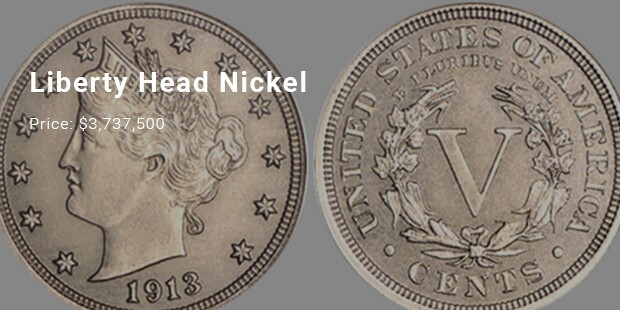 It is one of the rarest and most highly prized United States coins for collectors, along with the 1804 dollar and the 1913 Liberty Head nickel. 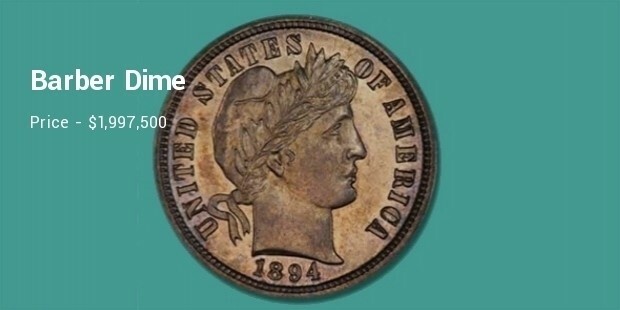 Due to the rarity of the coin and the mysteries surrounding its past, the 1894-S dime is one of the most valuable coins produced in the United States. Money is a strange thing. Even a one dollar coin can ensure a fortune depending on its uniqueness. 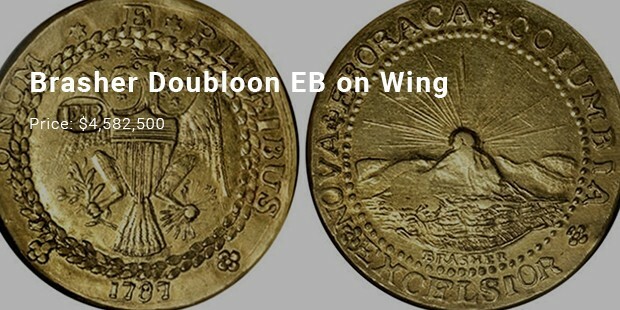 Rare coins are a collector’s delight. Who knows, may be a coin lying in your wallet could fetch you millions someday.